Styled with belen pant . 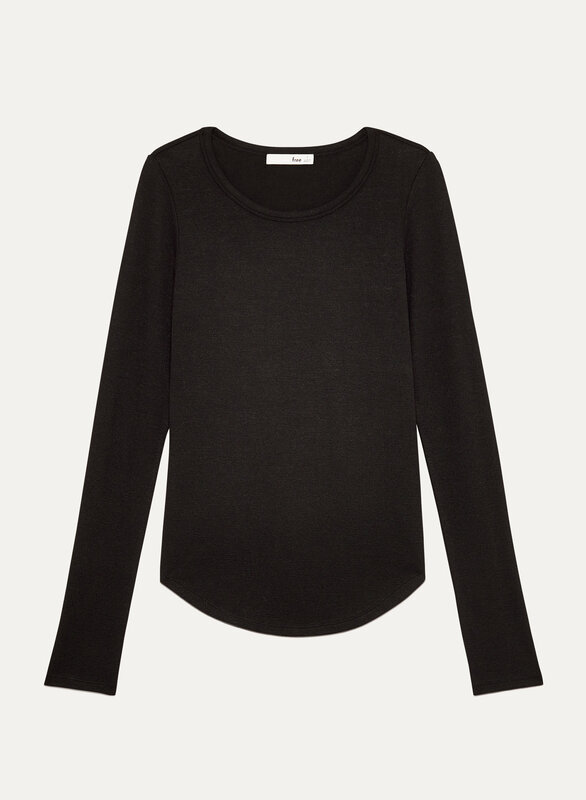 This simple long-sleeve crew is perfect for layering. We elevated the Claudine with a bodycon silhouette and a hem that's curved to make your legs look longer. It's made with Wilfred Free’s signature fabric, Reposa™ — a luxe jersey knit that hangs beautifully. TNA has done it again. Great staple!